William Crothers was born in Markham, Ont., attended UofT. Bill competed for east York TC under Fred Foot. He won 800m Silver medal in 1964 Olympics (Tokyo) (1.45.69CR). Top-ranked 800m runner in 1965. 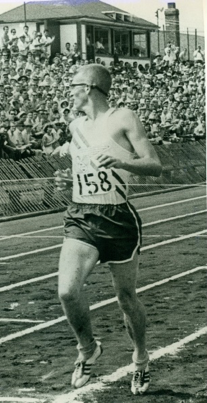 Won Lou Marsh Trophy in 1963 and Lionel Conacher award (Top males athlete) in 1964.